/ How do Zip + 4 Zip Codes Work? 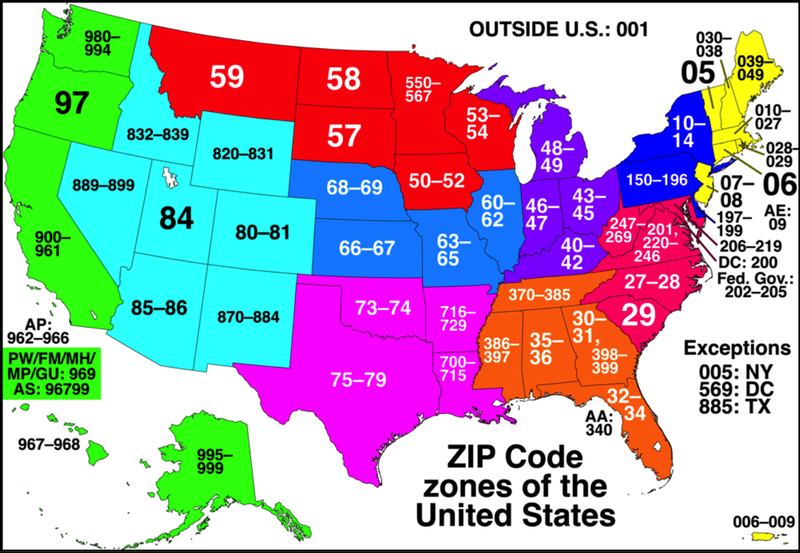 How do Zip + 4 Zip Codes Work? My son’s insisting that I can send him postcards to his name and 9-digit zip code, with no street address included. I don’t believe him. What’s the story and how do zip+4 zip codes work? Zip codes are quite a fascinating topic so you ask a good question! To start out, though, your son is right and it’s quite probable that you can send him something with just his name plus the 9-digit zip code he specifies. Why? Because a 9-digit zipcode can uniquely identify a half-dozen properties or even a single building somewhere in the United States. No kidding. But let’s back up in time just a little bit and talk about the origin of the Zone Improvement Program system for the US Post Office. Turns out that Zip codes were introduced in 1963; prior to that you just had street, city, state addresses and it was up to the post office to figure out the major regions and then deliver it to the correct regional post office. The whole system was invented by a Philadelphia Postal Inspector called Robert Moon, so I suppose there’s a chance that they could have been called Moon Codes instead. Kinda cool, really. If your math’s a bit rusty, 5 digits means that there are 10**5 or 100,000 possible zip codes. In practice the number is less because of the regional nature of the codes; NY can’t just grab 90099 because it’s not in use over in California, for example! Note: Turns out that 90099 is a one of the zip codes for Beverly Hills, CA. Swanky! In this case, 88310 is a zip code for Alamogordo, New Mexico. It might also be the mysterious Area 51 zip code, actually. 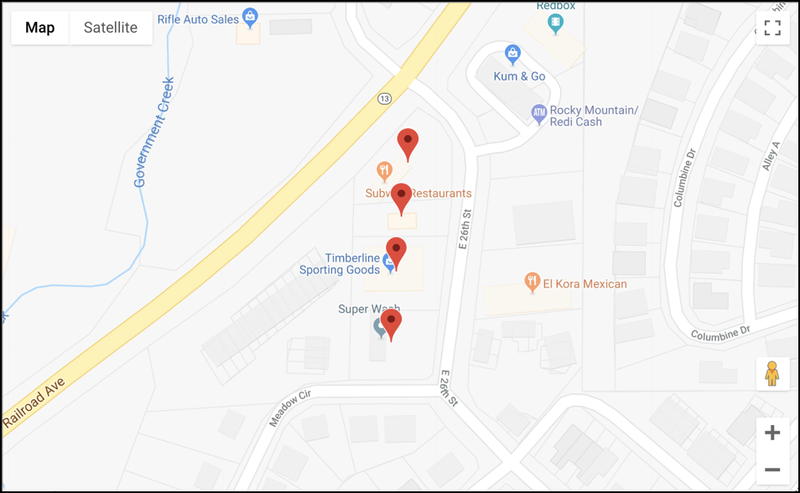 It was back in 1983 that zip codes were expanded to include an additional four digits, intending to identify a side of a street or specific building. Do the math again and you’ve just expanded our 100,000 zip codes to a possible 1 billion zip codes. That’s a lot! The thing of it is, your son is correct that the 9-digit zipcode does isolate a very small number of properties. For example, let’s consider the zip code 81650-3106. From the map above you can glean that 81 = places you in Colorado. A quick Google or USPS.com lookup and you can narrow down the location to scenic Rifle, Colorado. That isolates it down to four businesses on East 26th Street in Rifle. Given that, you can see that saying “car wash, 81650-3106” or “timberline sporting goods, 81650-3106” is plenty sufficient for the mail to be delivered. When I check my own 9-digit zip code, it uniquely identifies 10 houses on my side of the street. So yes, you could email me with my name – heck, probably my first name! – and my zip + 4. Re “do the math," here’s how I do the math: 10^5 X 10^4 = 10^9 = 1,000,000,000 = one billion.